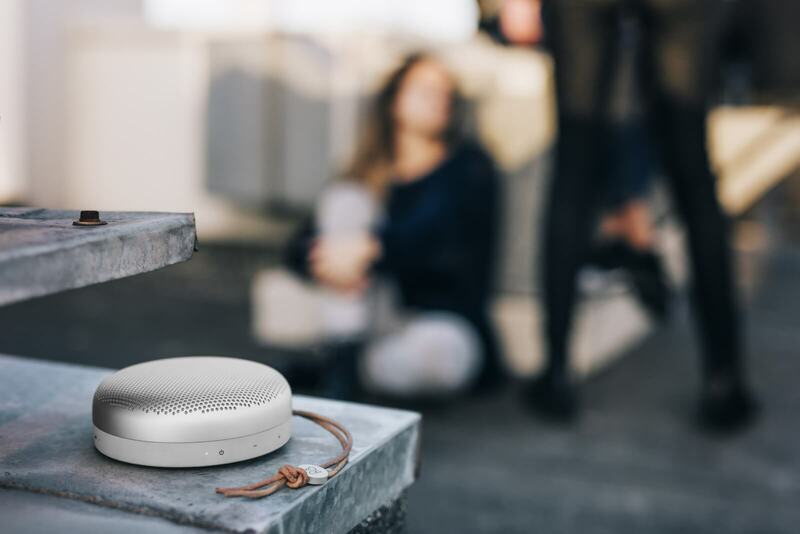 Designed for life on the go, BeoPlay A1 is beautifully designed by the Danish, award-winning designer, Cecilie Manz, and features the signature sound by Bang & Olufsen as well as a speakerphone for taking calls out loud and up to 24 hours of battery life. Portable design on the go. 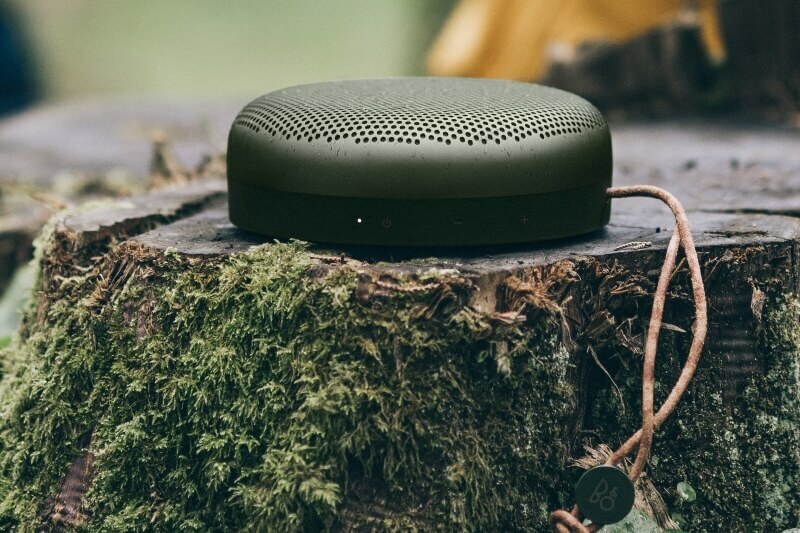 B&O PLAY A1 – a new, ultra-portable Bluetooth speaker with hands free for phone calls, dust and splash resistant, up to 24 hours of play time from a single battery charge, Bang & Olufsen Signature Sound and premium materials including anodized aluminum and leather. 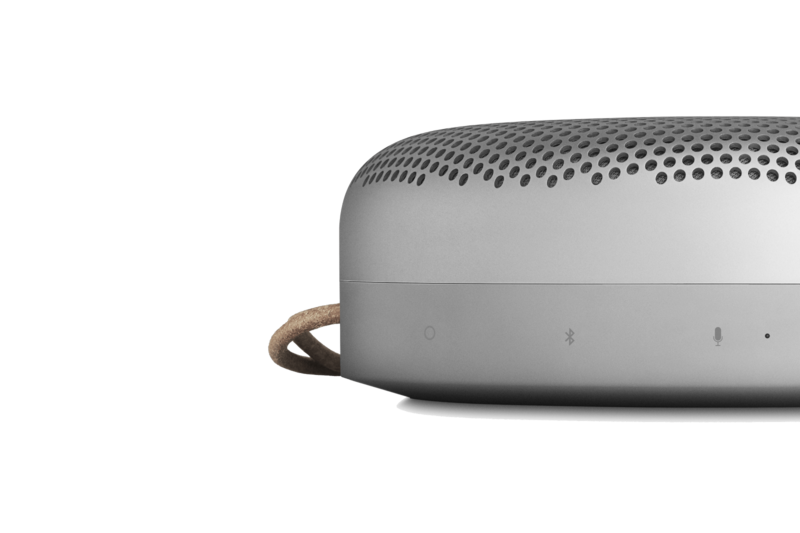 The new Beoplay A1 is the smallest Bluetooth speaker to date from B&O PLAY. Designed for life on the go by award-winning designer Cecilie Manz, it fits comfortably into the palm of your hand and packs a punch well beyond its size. 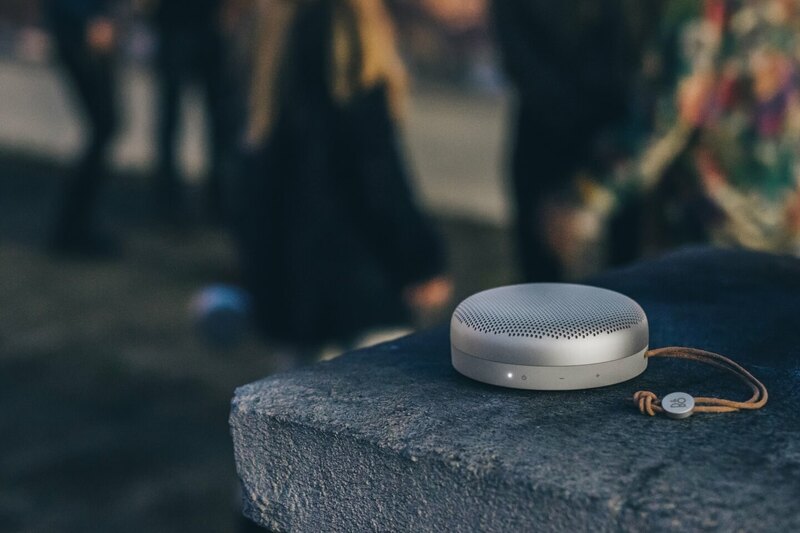 BeoPlay A1 has the power to bring people together around it, and to take part in the adventurous life of its young owners. It is made for people who really care about great sound and design. Speakerphone for business and leisure. 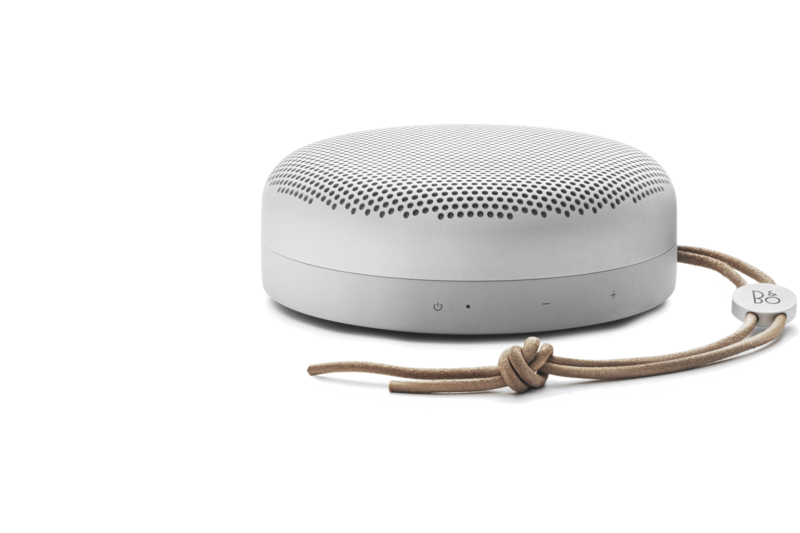 Beoplay A1 has a built-in speakerphone for taking calls out loud, and the patent-pending rimmed design on the speaker’s bottom edge enables the microphone to provide uniform 360 speech sensitivity. This enables the person listening to recognize voices perfectly, no matter where people are speaking in proximity to the microphone. 24 hours of portable playtime. 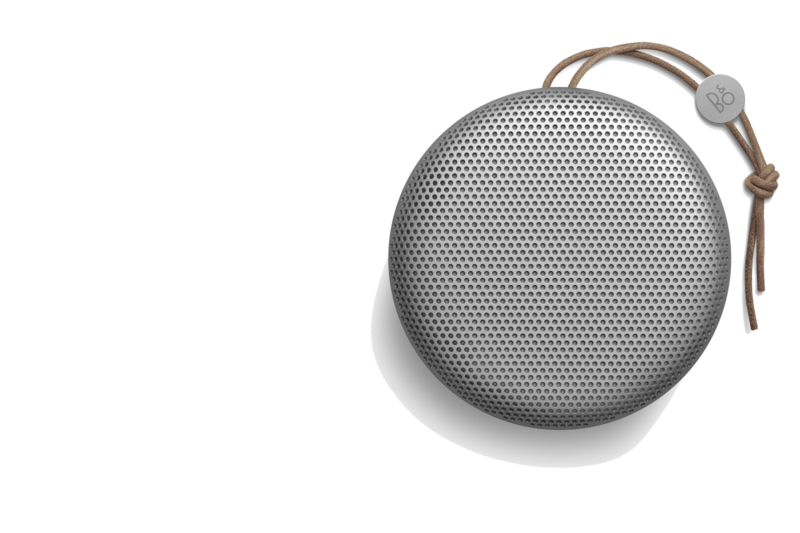 Beoplay A1 comes with a rechargeable 2200mAh Li-Ion battery that provides up to 24 hours portable playtime during everyday use. This industry-leading standard is delivered by the inventive amp control. The Adaptive Power Management makes it possible to feed the exact amount of power needed by the amplifiers - and only when they need it. This means the power supply changes dynamically for increased battery life. Easy access to your favorite music. 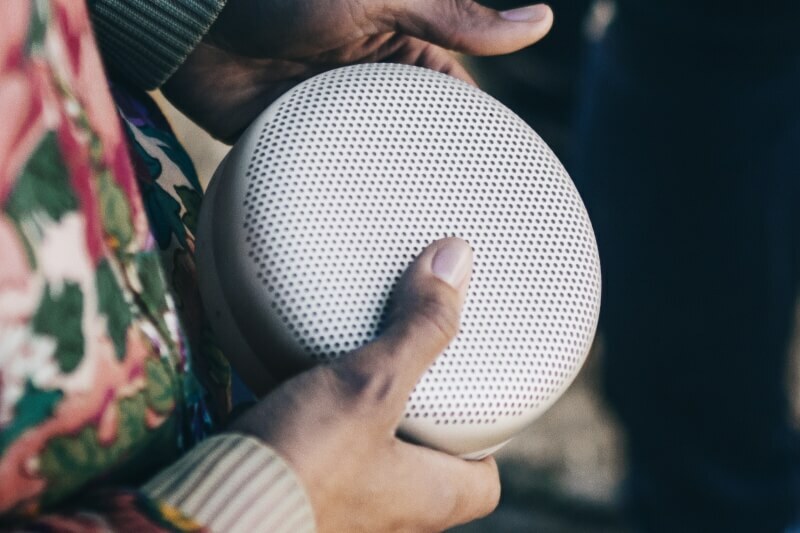 Pressing the circular connect button on the side of the speaker will reconnect the speaker to the last used device and instantly play the last song you heard. Going forward the connect button will receive updates to add even more functionality to the speaker. 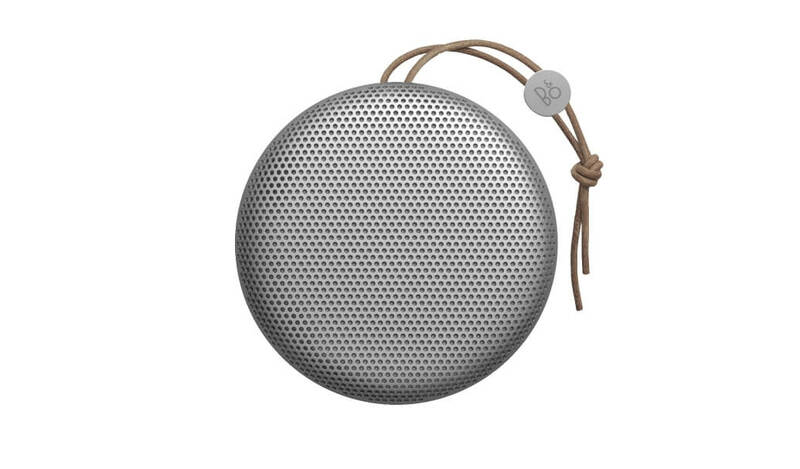 Designed by award-winning designer Cecilie Manz, the B&O PLAY A1 packs a new level of power and portability. As with all B&O PLAY products, the synergy between form and function was the guiding beacon throughout the entire design process. The physical form of A1 is the result of an exhaustive design process geared towards maximizing portability while at the same time giving a solid physical platform for the category breaking sound performance. The rounded aluminum grill is both a thing of beauty and of strength, and together with the double-molded polymer base forms a strong protective shell for the components within. These materials also add another layer of beauty – the tactile. Cool aluminum. Warm plastic. Simply put, A1 is amazing to touch and hold in your hand. The overall look is clean and timeless, sprinkled with an element of sci-fi. Some may call it a clean, Nordic look. But that is the result of the functional requirements rather than a design goal. 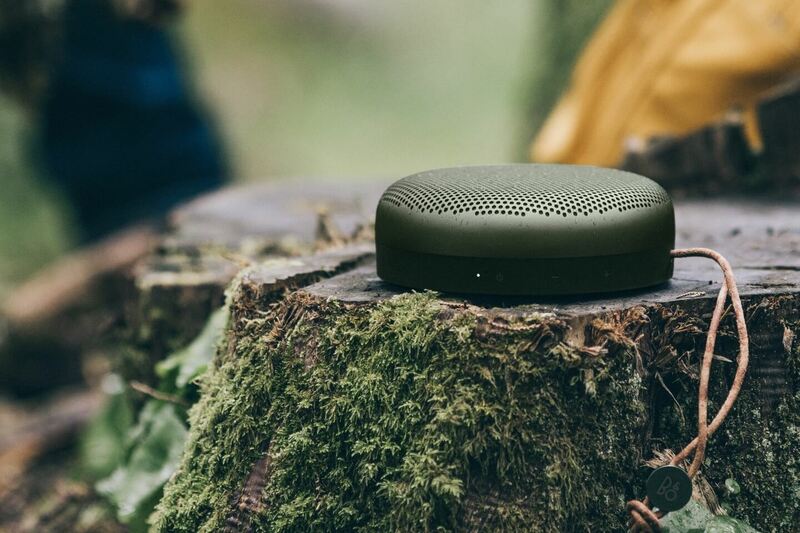 As part of the design, there are no protruding buttons or legs to snag, and the surface of Beoplay A1 is completely smooth and robust enough to handle the bumps and scrapes of everyday use. It comes with a soft leather strap inviting you to carry it everywhere, attach it to a backpack on the go, or to hang it anywhere in your home. 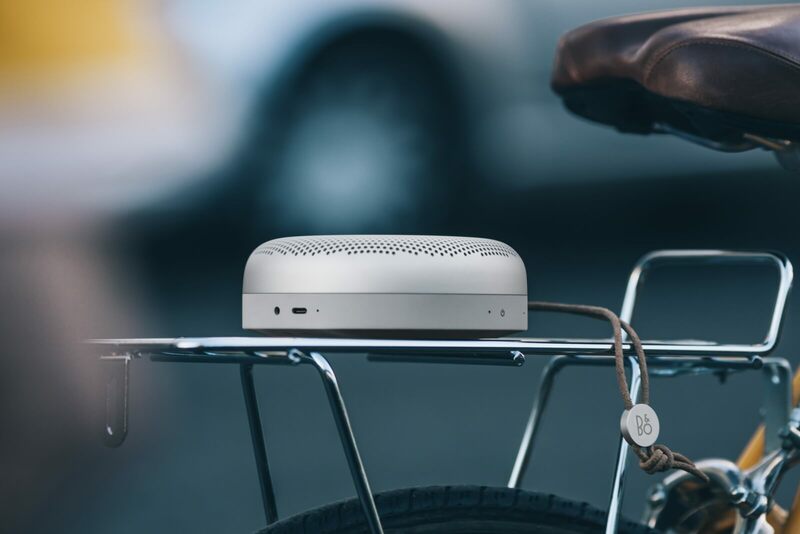 The all-aluminum dome ensures a light, rigid and protective housing for the delicate drivers and electronics inside (it can take its fair share of dents and scratches). The design of the aluminum dome was a very complex and time-consuming process. One of the big challenges was to maintain the pattern and shape of the holes over the double curve of the grill. These holes play a vital role in sound performance, as well as the aesthetics of the product. The capability to form aluminum like this is unique to B&O PLAY. The base is made of a uni-body, double-molded polymer, specially shaped to ensure a good foundation and the perfect positioning of the microphone. It is a tactile material which is somewhere between hard and soft, warm and cold. The leather strap not only feels great to hold, but it will also age with style, just like your favorite pair of leather boots. As with all projects, the sound quality had the highest priority – the focus was on delivering the world renowned Bang & Olufsen Signature Sound. 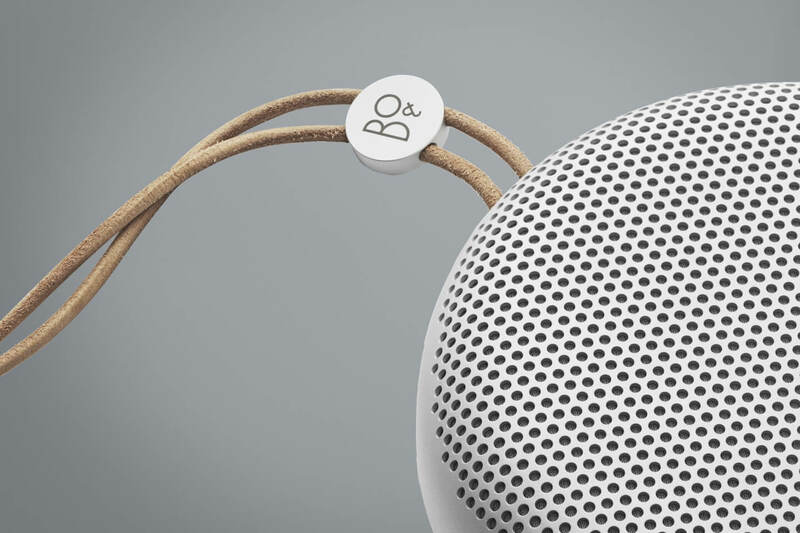 But as B&O PLAY A1 is an ultra-portable product there are some particular aspects which need special attention. 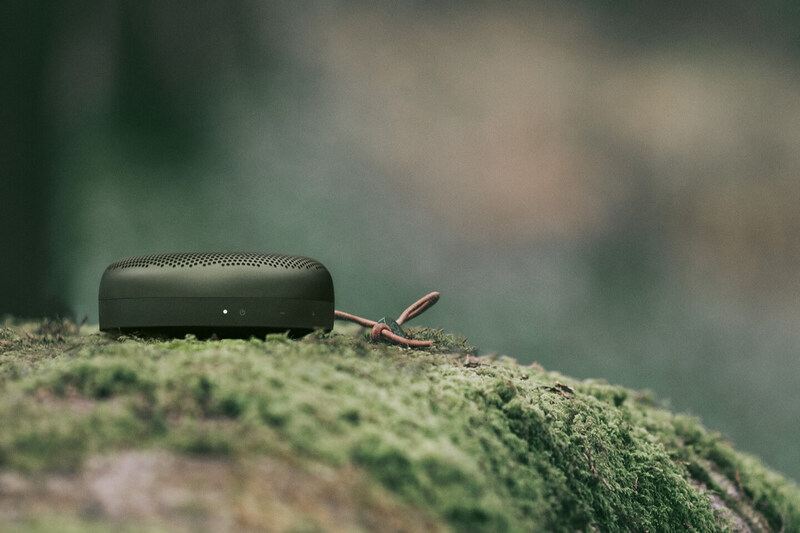 The challenge has been to load something as small as the B&O PLAY A1 with sound that lives up to B&O’s demands – both as far as power and distribution are concerned. 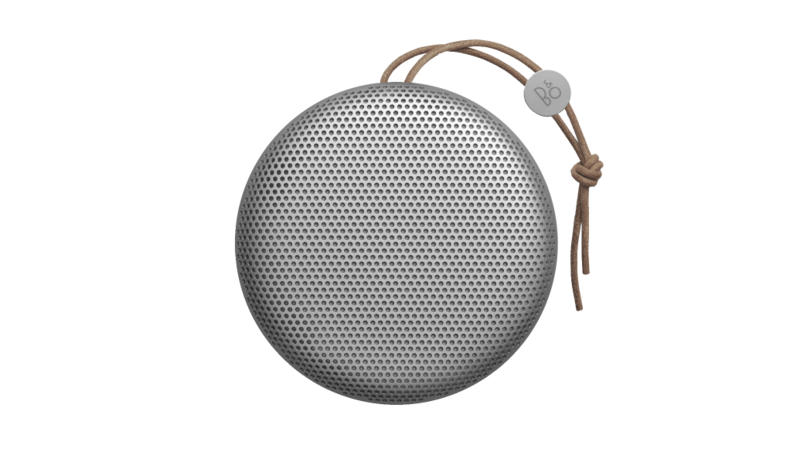 Compared to the competitors in the same market segment, the B&O PLAY A1 redefines the category completely new. Basically, it has better sound distribution characteristics than the competition, it’s louder than the competition, and it delivers a better bass. Sound distribution is a critical parameter for single speakers. The goal is to deliver a uniform pattern, so that wherever the listener is positioned around the speaker, the sound is equally good. Bang & Olufsen use a unique, dedicated DSP algorithm with enhanced information which mimics the sound of a full stereo experience (when the product is in ambient mode). This creates an ambient sound from one single source – and that sound has the spacious characteristics of a stereo setup. Together with an advanced DSP crossover this means that the distribution pattern is uniform – 360 degree. The art of getting the most sound out of a small product lies in the cooperation between designer and technician. With the B&O PLAY A1 this cooperation has been taken to new levels. Through iteration after iteration (and without compromise) B&O PLAY A1 hits the sweet spot between size and performance. Drivers, amps and speakers are designed and manufactured to ensure the best performance in the category, and deliver 2X140 Watts at peak power. With an audible range from 60 – 24,000 Hz, B&O PLAY A1 punches well above its weight. Bass extension is greater than you’d imagine for something so small. Armed with a new aluminum core sub-woofer, a powerful magnetic system and amps it can deliver a full range with great character even at at low frequency levels (down to 60Hz). The shape on the bottom edge of A1 plays a very important role for the microphone. 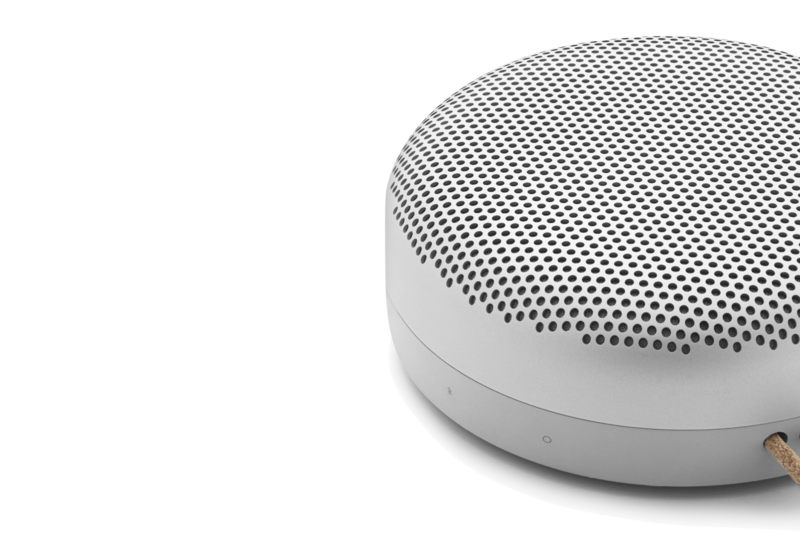 Because of the rimmed design, the microphone gives uniform speech sensitivity 360° around the speaker. This means that those listening at the other end of your call will be better able to recognize voices – no matter where the person talking is in relation to the mic. One of the reasons A1 can keep going for up to 24 hours is the inventive amp control. The Adaptive Power Management makes it possible to feed the exact amount of power needed by the amplifiers – and only when they need it. This means that the power supply changes dynamically for increased battery life. Currently, the Connect Button can be used to activate the last played music at launch. Over time, as the product develops, the button will be able to be adapted for a number of different functions – thus allowing an element of personalization. Quick start guide for the essential functions. Let yourself be inspired by the fresh, chic pastel colors of the new autumn/winter collection. The Autumn/Winter Collection 2017 plays with the contrast between the cool tones at the sunrise at Fuji, the exciting, bright colors in the nightlife of Tokyo and everything in between. It is a tribute to the moment. The Now. This magical moment when everything arises by itself. Balance. Harmony. Relaxation. 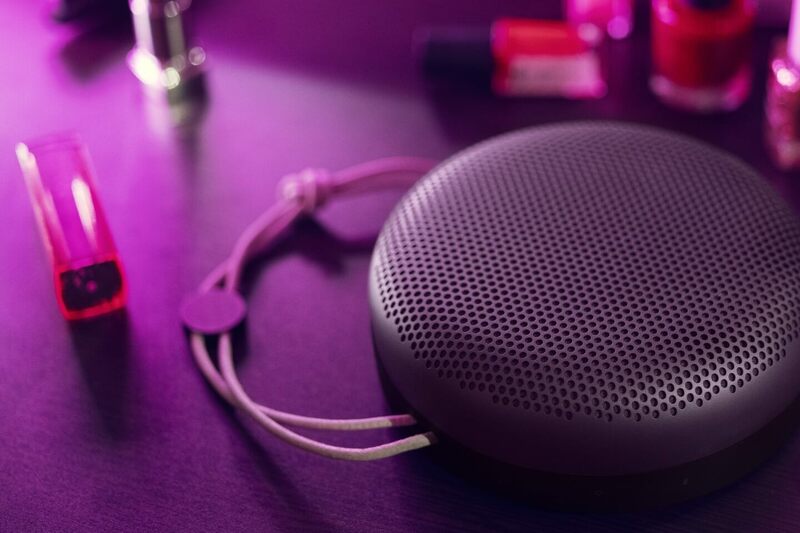 Beoplay A1 Violet - a dark violet - was inspired by fluorescent, neon-lit alleyways in the city of Tokyo. When you meet your special place, when is reached your special time? It is, when music and spirit unite in a moment full of bliss, and you are one with the world around you. 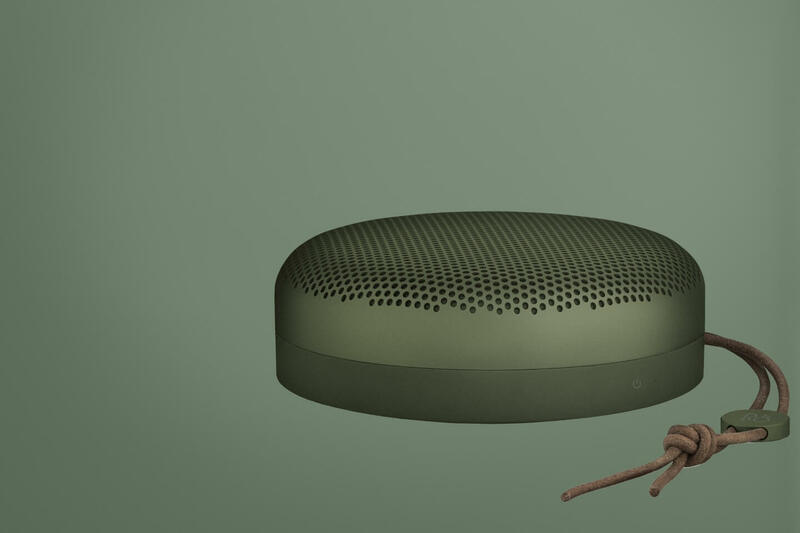 Beoplay A1 Umber - a rich brown - was inspired by the mystical, gloomy scenery of a wooden ryokan in a bamboo forest during dusk. Wrapped in the colors of nature. Rustling leaves. Forgotten melodies await. A timeless moment. 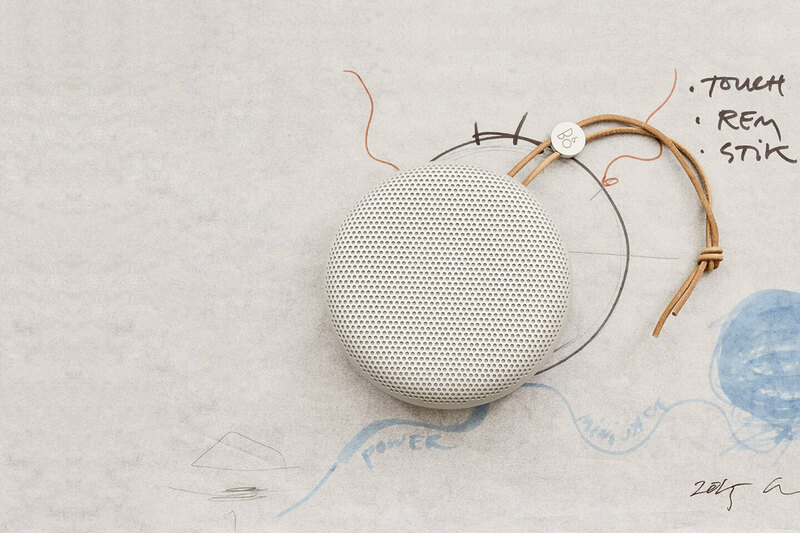 Experience BeoPlay A1 in your home. Don't miss a manufacturer's campaign or other advertisings where the price is reduced for a limited time. We will inform you automatically if your desired price for BeoPlayA1 is reached or we have another suitable offer for you.